A Neid Enterprises Ltd. Custom Built Jet Boat. Neid Enterprises Ltd. is an aluminum fabrication shop and powersports dealer in Terrace, BC. 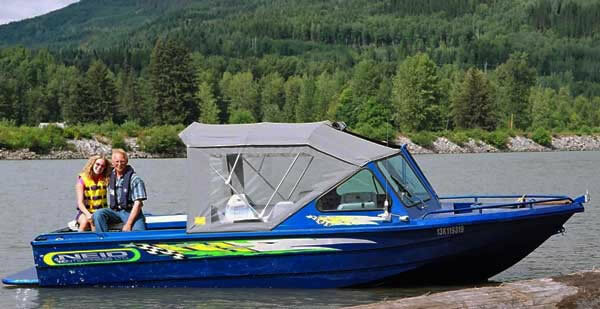 Neid Aluminum boats are made for BC outdoorsmen, by BC outdoorsmen. Being a local BC builder there is a healthy used market for these boats across the province of BC. Neid doesn't sell their own boats through a dealership channel so we are unsure about the available of "new" inventory, these boats are generally custom built to order. Neid Enterprises specializes in the construction of custom welded aluminum jet boats for hunting, fishing and exploration from 10' to 30' in length.